Bachmann's Amtrak F40PH was produced for the company's standard line in at least two variations. 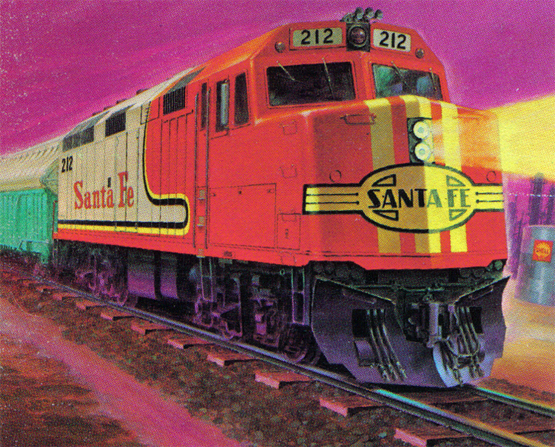 The model is introduced in Bachmann's 1978 catalog, but only artist illustrations are used and these only include the red and silver Santa Fe F40PH. 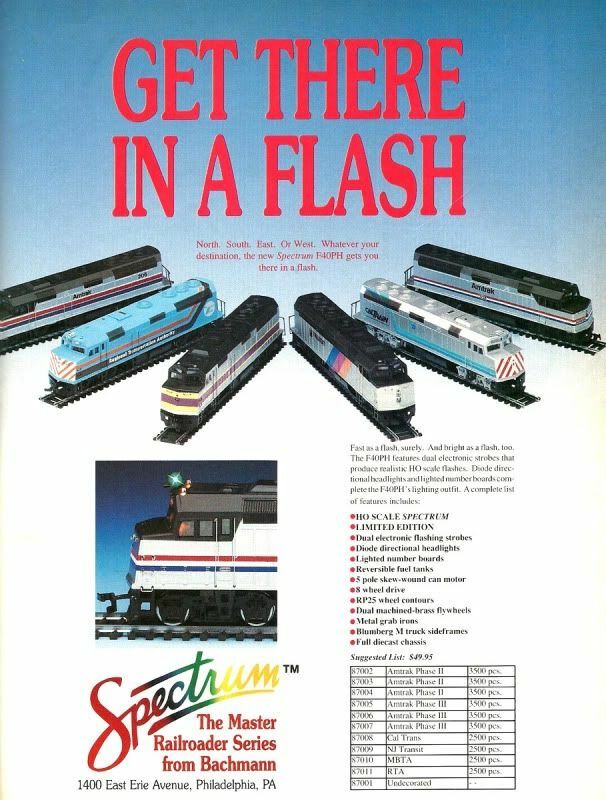 The first time an Amtrak F40PH finds itself pictured in a Bachmann catalog is the 1979 edition and the model is listed as NEW that year, though it was cataloged also the previous year in 1978. Examples examined for the F40PH wearing the red-nose Amtrak Phase I scheme with the large logo on the side appeared in boxes carrying the 675 stock number, same as examples decorated with the red and blue bands wrapping around the loco, Amtrak's Phase II scheme. This is only speculation, but I would suggest that the Phase I Amtrak F40PH came first and may have been replaced as early as sometime in 1979 with the more typically seen Phase II painted model. The 1983 price for the model was $22. 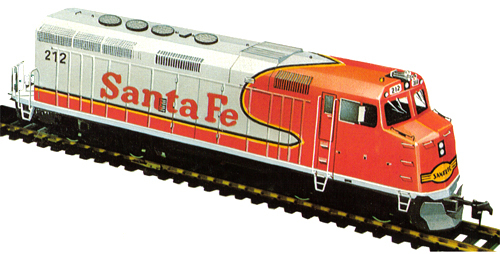 Following its 1990 appearance in the Bachmann catalog, the F40PH disappears from the company's standard line and becomes a Spectrum release. The Chicago commuter F40PH decorated for that area's Regional Transportation Authority is cataloged by Bachmann for three years. Following the RTA's removal from the line, the F40PH would survive as an Amtrak only offering for the duration of its time as a standard line Bachmann model. Bachmann enhances its F40PH in 1992 and re-releases the model in the company's Spectrum series. This improved example retailed for $49.95 in 1992 and included dual electric flashing stobe lights, diode directional headlights, 8-wheel drive with flywheels, separate metal grab irons and handrails. Bachmann's ads included reference to model's limited edition status and stated the six Amtrak examples would each receive 3500 production exmaples; the Cal Trans, NJ Transit, MBTA, RTA models are listed with 2500 examples each, and no number is provided for Undecorated Spectrum F40PH models. A review of the 1992 Spectrum F40PH release is found in the May 1992 edition of Model Railroader.